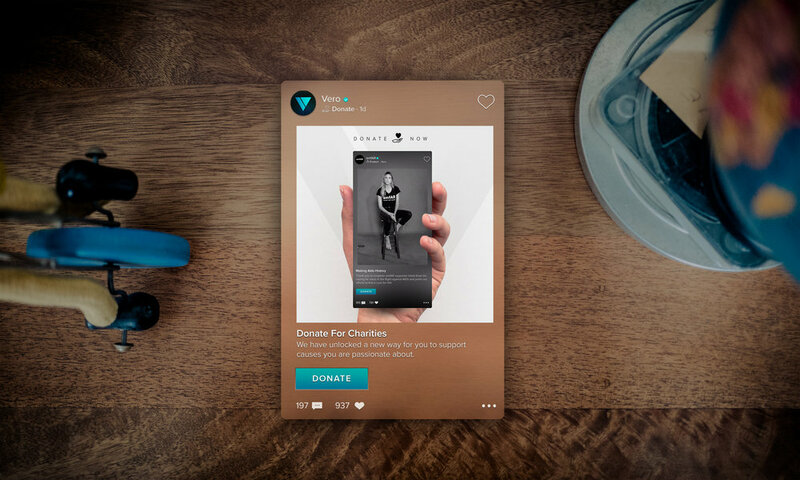 April 24, 2018 – Vero, a rapidly-growing social platform providing an unparalleled social networking experience free of advertisements or commoditized data-mining, today launched a Donate Now button on the Vero app that allows users to directly donate, free of charge, to charities. Working with Global Charity Partners, users can find a charity on the Vero app, tap Donate Now, and pay with Apple Pay or with a credit card. Vero does not charge a fee on any donations made via Donate Now – the entire sum donated is sent directly to the charity. The button appears on special posts shared by the charities. Under the new partnership, Vero users can currently support the work of amfAR, the American Foundation for Suicide Prevention, and Children with Cancer UK. Vero will be announcing additional charity partners in the coming weeks. To donate today, download Vero from the Apple App Store or Google Play and search for any one of the charities. Vero is on a mission to make the world a better place, starting with our online social experience. A subscription-only platform, Vero has a built-in framework that empowers users to control who they share with. Vero does not have ads, and does not mine user data. Vero also does not share any information with third parties, allowing users to have an authentic social experience online knowing their personal information is secure. After providing their first million users with free access to Vero for life, the company recently extended the offer to all new users until further notice. The Donate Now button joins the Buy Now button which enables users to purchase unique items on Vero such as the never before published Prince Pre Fame book, unique Oliver Spencer items, or issues of Clash Magazine, Schön! Magazine, and Greg Williams Magazine. Other items that can be purchased include Banton Frameworks, Kristine Cabanban jewelry.